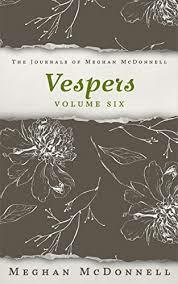 In Vespers: Volume Six of this addictive and vicarious real-life series, Meghan McDonnell contends with a boyfriend in spiritual crisis, college, working in a bar, a trip to New York, and reflections on relationships with family and friends. For 30 years, McDonnell has intimately chronicled her life beginning at age eight through present day. With searing candor and tenderness, her musings on daily experiences and observations of family, social and romantic relationships, and the interior life coalesce in a commentary on facing passion and fear, embracing the light and dark, and American life in the 21st century. 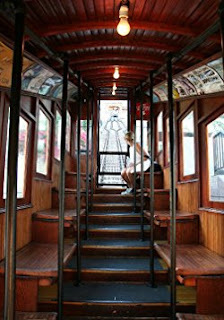 Wide in scope and vivid and provocative in detail, her journals are her confessional love letter to the world. Join her on a fearless, vulnerable, profoundly surprising, sometimes painful and quixotic, but always honest journey, also known as the human experience. Readers who love Joan Didion or Cheryl Strayed will enjoy this author. The author is pretty intense at times in this novel and has a lot of thoughts going around in her head. At first Charlie seemed a bit dodgy, but as you read on in the book he seems to get a little bit better. I gave this book a four star review and got a copy in exchange for an honest review.